Mr. William Alton "Bill" Lay, age 75, of Versailles, Indiana, formerly of Patriot, Indiana, entered this life on May 23, 1943, in Liberty, Kentucky. He was the loving son of the late, Thornton Bantam and Bessie L. (Buck) Lay. Bill was raised in Aurora, Indiana, where he attended school. Bill was united in marriage to the love of his life, Betty Sue Crawford on July 25, 1964, in Aurora, Indiana. This happy union was blessed with a son, Richard and a daughter, Renda. Bill and Betty shared over 54 years of marriage together until his death. Bill was employed as a machine operator for Campbell Hausfield in Harrison, Ohio, from 1973 - 1978. He was a former fork lift driver and machinist for General Electric in Cincinnati, Ohio, from 1979 - 1993. He was later employed as a custodian for Garnett and Scott in Carrollton, Kentucky, for a few years. Bill resided in Patriot, Indiana for 32 years, Rexville, Indiana for 10 years and in Versailles, Indiana, for five years. He was a member of the Fairview Baptist Church in Bennington, Indiana. Bill enjoyed fishing, watching old western movies and spending time with his kids and grandkids. Bill passed away with his loving family by his side at 5:10 a.m., Sunday, November 25, 2018, at his residence in Versailles, Indiana. 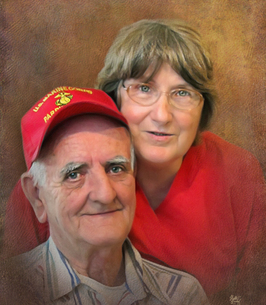 Bill will be missed by his loving wife of over 54 years: Betty Sue (Crawford) Lay of Versailles, IN; his son: Richard "Rich" Lay and his wife: Debbie of East Enterprise, IN; his daughter: Renda Mills and her husband: John of Quercus Grove, IN; his grandchildren: Rebekah Leppert and her husband, Chris, James Williams and his wife, Heather, Anthony Williams and his wife, Ashley, Chelsea Reagan and her husband, Justin, Brook Zarse and her husband, Brock, Richard Lay, Jr., Lily Mae Williams, Sierra Mills, Daisha Lay, Shelbie Lay and Collin Lay; his great-grandchildren: Eden Grace Leppert, Everest Saige Leppert, Eylah Sue Leppert, Jackson James Williams, Emma Kay Williams, Aria Lynn Williams, Kyler Lawrence Reagan, Daisy Brook Zarse and Kambrie Elyse Lay; his brothers: Carl Lay of East Enterprise, IN, Chester Lay and his wife: Mary of East Enterprise, IN; his sisters: Linda Cann of East Enterprise, IN; Carolyn Wright and her husband, Terry of Milan, IN; Connie Sigmon of East Enterprise, IN; his sister-in-law: Henrietta Lay of Osgood, IN and his several nieces & nephews. He was preceded in death by his parents: Thornton Bantam and Bessie L. (Buck) Lay; his sister: Lilly Mae Lay; his brothers: Stanley Lay and Jesse Lay; his half-brother: Raymond Lay; his half-sister: Datha Carman and his brothers-in-law: John Cann and Fritz Sigmon. Funeral services will be conducted at 1:00 p.m., Saturday, December 1, 2018, by Bro. Hobert Byrd at the Haskell & Morrison Funeral Home, 208 Ferry Street, Vevay, Indiana 47043. Friends may call 11:00 a.m. - 1:00 p.m., Saturday, December 1, 2018, at the Haskell & Morrison Funeral Home, 208 Ferry Street, Vevay, Indiana 47043. 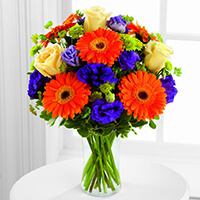 To send flowers to the family of William Alton "Bill" Lay, please visit our Heartfelt Sympathies Store. Love and prayers to the family. May they find comfort in their wonderful memories.